The draft resolution is now available here [pdf]. The draft resolution is expected to be approved at the annual World Health Assembly, which is taking place from 23-28 May. The resolution will first go through committee (B) for approval before heading to the final WHA plenary session. The resolution is on the WHA agenda item on the Follow-up of the Report of the Consultative Expert Working Group on Research and Development: Financing and Coordination (CEWG). The CEWG effort to find alternative funding models for R&D arose from the 2102 World Health Assembly Resolution 66.2. According to sources, the resolution asks the WHO director general to establish an expert committee to give technical advice on prioritizing health R&D for diseases occurring in poor settings with some relationship to those occurring in developed countries as well. A key element, according to some sources, is that the committee is asked to consult with a variety of stakeholders. Another important element, according to sources, is that it asks the WHO director general to present a proposal on a voluntary pooled fund for the R&D. The resolution mentions the principle of delinking the price of medicines from the cost of the R&D. The resolution also urges governments to find sustainable funding for this process, and to set up national-level observatories for monitoring data on health R&D, they said. 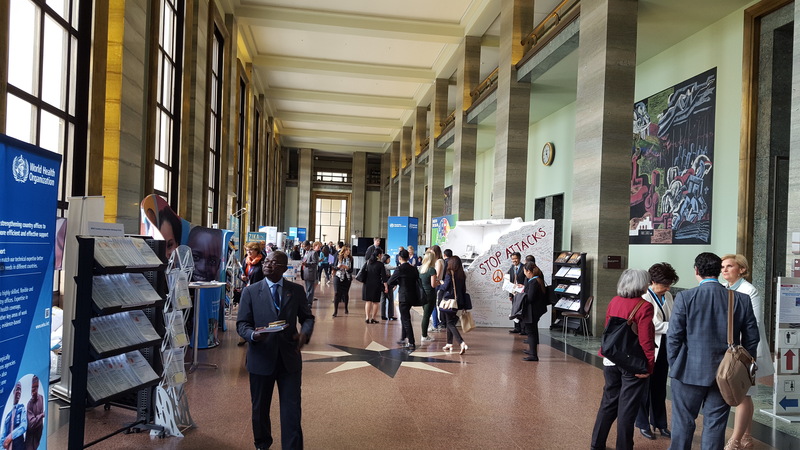 [Update:] It includes a call for financing dialogues for mobilizing sufficient resources to meet the objectives of WHA66.2. And it puts significant emphasis on the WHO Global Observatory on Health Research and Development envisioned by the CEWG, and includes the gathering and analysis of data related to type I, II and III diseases (the full range of diseases occurring in developing and developed countries), they said. So far the observatory is just getting going. It furthermore mentions potential areas of market failure (where there are insufficient patients who can pay to make it worthwhile for companies to invest in the R&D), the sources said. The text also makes a brief mention of the establishment of the UN Secretary-General’s High-Level Panel on Access to Medicines, which is notable in part because the panel has come into question by at least one member (United States). The panel is expected to complete a report on high drug prices and policy incoherence by end of June. And it hearkens back to reinforce the flexibilities in applying intellectual property rights found in the 1994World Trade Organization Agreement on Trade-Related Aspects of Intellectual Property Rights (TRIPS), they said. [Update]: an observer noted that the text nowhere makes direct mention of intellectual property rights. "WHO Drafting Group Agrees Resolution On Health R&D" by Intellectual Property Watch is licensed under a Creative Commons Attribution-NonCommercial-ShareAlike 4.0 International License.